In line with the Central Bank of Nigeria (CBN) policy of accommodating all Nigerian in the financial services of the country, Nigerian banks, Licensed Mobile Money Operators and Super Agents on Tuesday March 27, 2018, unveiled a fresh initiative to roll out a 500,000 shared Agent Networks, which will further aid financial inclusion in the country. At the unveiling of the initiative in Lagos, CEOs of banks told financial journalists that the body of bankers have reached an agreement to fund the expansion of a Shared Agent Network to deepen financial inclusion. This according to the banks CEO will aid the creation of 500,000 employment between 2018 to 2019. The agreement entails an aggressive rollout of a 500,000 agent network to offer basic financial services, such as Cash-in, Cash-out, Funds Transfer, Bill Payments, Airtime purchase, Government disbursements as well as remote enrollment on BMS Infrastructure (BVN) to an estimated 50 million Nigerians that are currently under-banked or unbanked. Ten licensed Mobile Money Operators and Super Agents are expected to immediately deploy financial services agents’ outlets in underserved urban and rural areas in Nigeria, with higher priority in the Northern geo-political zones where financial exclusion is most predominant. The approved CBN Bankers Committees’ roll-out ratio is as follows: North-East 30 percent; North-West 30 percent; North-Central 20 percent; South-South 7.5 percent; South-East 7.5 percent; and South-West 5 percent. Some of the prequalified CBN Licensed operators include Capricorn Digital Limited, Cellulant Nigeria Limited, eTranzact Limited, Innovectives Limited, Inlaks Limited, Interswitch Financial Inclusion Services Limited, Paga Tech Limited and Unified Payments Nigeria Plc. According to the plan, the CBN and Deposit Money Banks will over the next few months also roll out new initiatives, products and services to accelerate and deepen Financial Inclusion in Nigeria. Over the next three years, Nigerian banks aim to on-board and formally bank 60 million additional Nigerians, an average of 20 million yearly as well as enroll 40 million Nigerians for Bank Verification Numbers (BVN). To this end, renewed focus will be given to driving low cost digital access, broadening financial literacy campaigns, and creating micro loans, micro insurance and micro investment products for the benefit of excluded, underserved and low income Nigerians. Commenting on the Shared Agent Network Expansion program, the Chairman of the Body of Bank CEOs, Mr. Herbert Wigwe, who also is CEO of Access Bank Plc said; “this agreement reflects our commitment to aggressively pursue the CBN 2020 Financial Inclusion target in an integrated way with minimal systemic risk to the financial system. This initiative will also generate over 500,000 new jobs over the next two years”. Commenting on behalf of the mobile money operators, Tayo Oviosu, founder & CEO of Paga, said “to significantly grow financial inclusion in Nigeria we need to offer truly effective digital financial services that operate on all mobile telecom networks and a robust nationwide network of agents for convenient access. The Shared Agent Network Expansion program supports our plans to rapidly scale up the agent network over the next year. With this expansion program, the entire financial industry will reach deeper into even more communities and give millions of Nigerians convenient access to financial services. 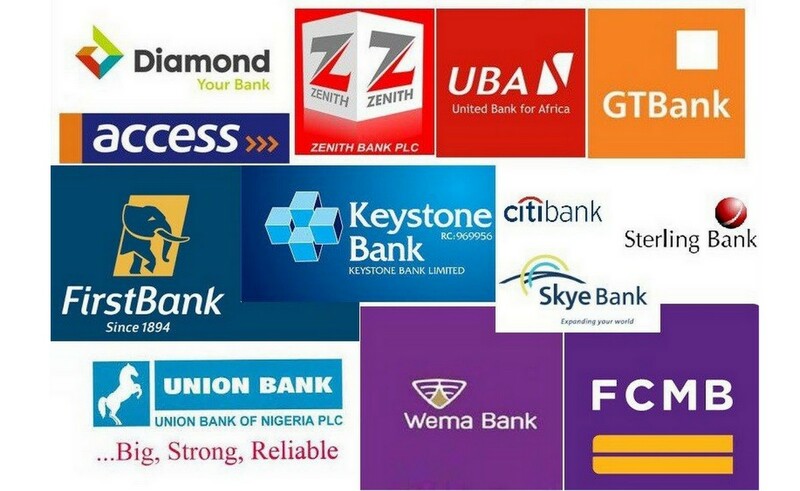 The banks involved in the initiatives are, Access Bank Plc, Citibank, Diamond Bank Plc, Ecobank, Fidelity Bank Plc, First Bank Limited, FCMB, Guaranty Trust Bank Plc, Heritage Bank, Keystone Bank, Stanbic IBTC Bank, Standard Chartered, Sterling Bank, Skye Bank, United Bank for Africa, Union Bank, Unity Bank, Wema Bank and Zenith Bank.